Foliage Reflections in North Andover, MA. Taken one morning when it was overcast and a little fog around. 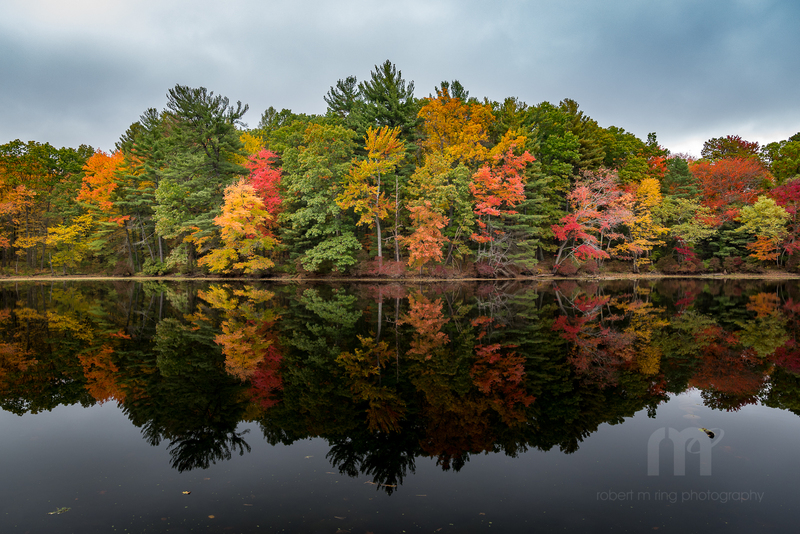 I used a polarizer to make sure any reflections on/off the leaves would be 'absorbed' to bring out the New England Fall foliage color. Photo © copyright by Robert M Ring.